When I think of BRAND’S, I always think of the essence of chicken that my mom gave me during my school days especially exams period. And now I will buy BRAND’S for them, as the saying goes health is wealth and it is said best with a gift that is familiar with any generation. 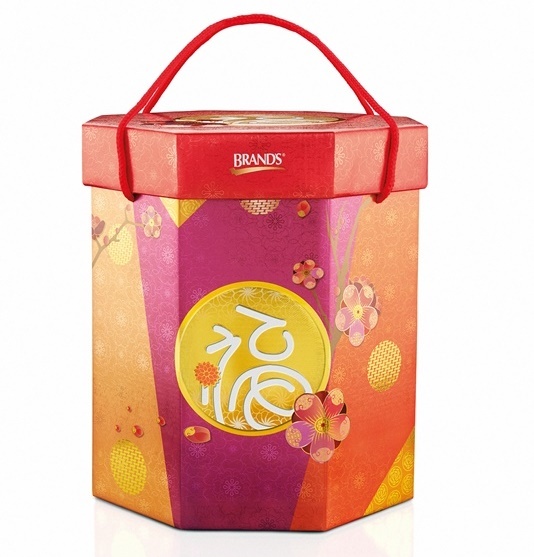 As you know every year BRAND’S will have their auspicious gift packs, so this year BRAND’S created a range of 10 delightful and meaningful gift packs and hampers ranging from BRAND’S Chinese New Year Auspicious Gifts 2016, Brand's that focus around the essential and versatile Chinese character ‘foó’ that holds a variety of meaning and auspicious blessings as everyone has their own wish for the coming year. 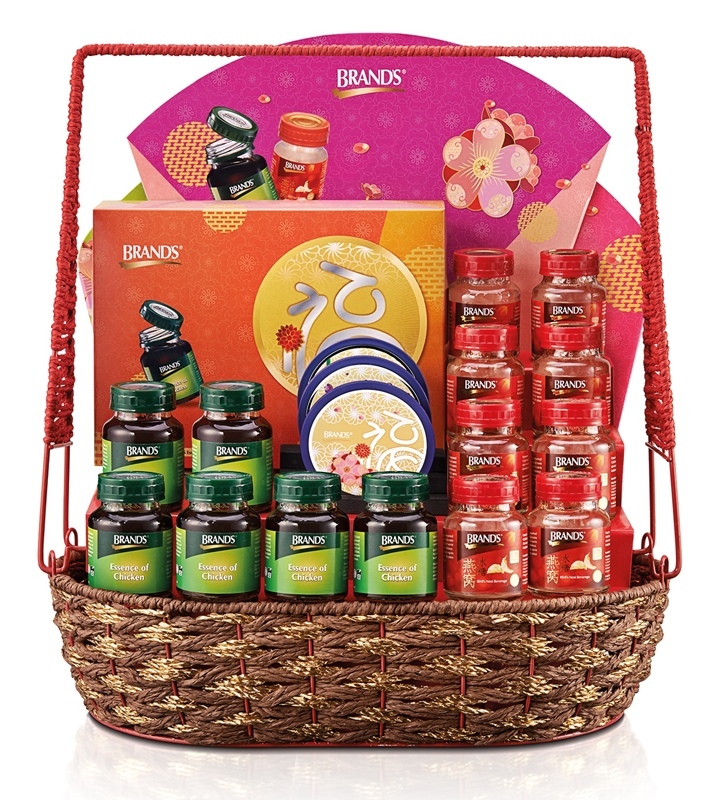 This year BRAND’S has created dsmaller and more afforable 5-bottle BRAND’S Essence of Chicken gift pack so that students and young adults can join in the deeply rooted gifting culture and bring smiles to loved ones and friends with wholesome, quality products that is appreciated by all generations. 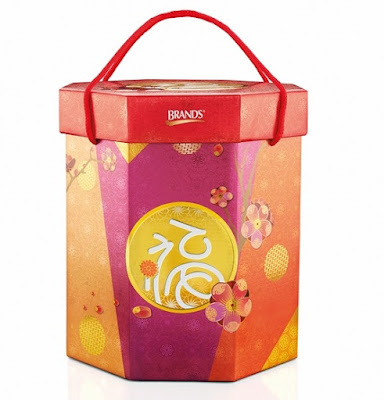 Expect a modern looking and brightly coloured gift packs plus the auspicious symbols of cherry blossoms, orchids and bamboo, which makes them great festive additions to the house during festive season. 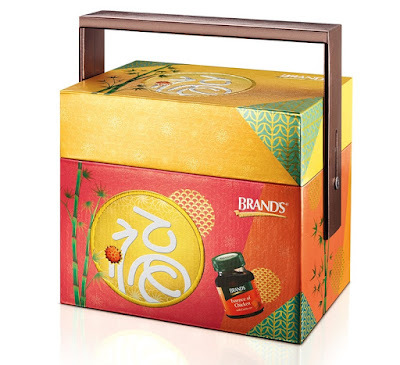 Scientifically backed to improve one’s memory, concentration, metabolism and well-being, the gift of good health (‘foó kāng’) is expressed with the Premium Gift Pack at RM96 that contains 18pcs x 70g bottles BRAND’S Essence of Chicken. For a blessing of prosperity (‘wàng foó’) in the coming year, the Marvelous Fortune Gift Pack at RM103 contains 12pcs x 70g BRAND’S Essence of Chicken and 6pcs x 70g BRAND’S Essence of Chicken with Cordyceps, a winning combination that is suitable for everyone in the family. Usher in Lady Luck (‘foó yùn’) with the Auspicious Blessing Gift Pack at RM72 and Auspicious Blessing Hamper at RM148.80. Comprising of the lucky combination of 6pcs x 70g BRAND’S Essence of Chicken and 6pcs x 70g BRAND’S Essence of Chicken with Cordyceps; and 11pcs x 70g BRAND’S Essence of Chicken and 8pcs x 70g BRAND’S Essence of Chicken with Cordyceps respectively, both the gift pack and hamper will make an ideal gift to preserve the inner vitality for elderly people. To bless recipients with joy and happiness (‘lè foó’), give them the cute yet affordable 5pcs x 70g Joyous Greeting Gift Pack at RM33 or sizeable 12pcs x 70g Double Happiness Gift Pack at RM65 of original BRAND’S Essence of Chicken. 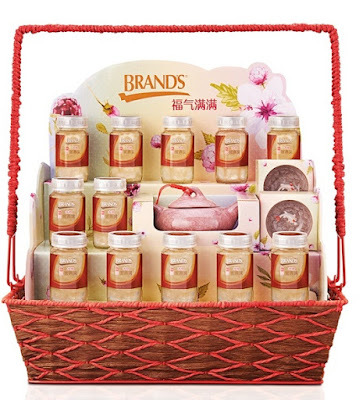 Or double the love and joy when you present them with the Preciously Love Hamper at RM248 which comprises of revitalizing 12pcs x 70g BRAND’S Essence of Chicken and 8x70g BRAND’S Bird’s Nest with Rock Sugar that comes with a 3-piece coaster set as premiums. For those looking to indulge loved ones with the BRAND’S Bird’s Nest range that keeps the complexion radiant while strengthening lungs, choose the limited edition festive 6x70g gift packs of BRAND’S Bird’s Nest Rock Sugar or Sugar Free at RM98 each, or give the ultimate royal treat with the premium 12pcs x 70g BRAND’S Royal Superior Bird’s Nest Hamper at RM318. The special edition BRAND’S Chinese New Year Auspicious Gifts for 2016 is available nationwide in selected supermarkets, hypermarkets, pharmacies and traditional Chinese medical halls. For more information, visit BRAND’S Smart Living on Facebook Page or Website or call BRAND’S Customer Care Line at 1-300-228-300. This is such an early CNY post. 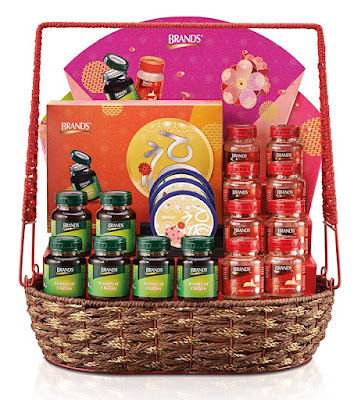 I always think that Brands hamper is great for gift. 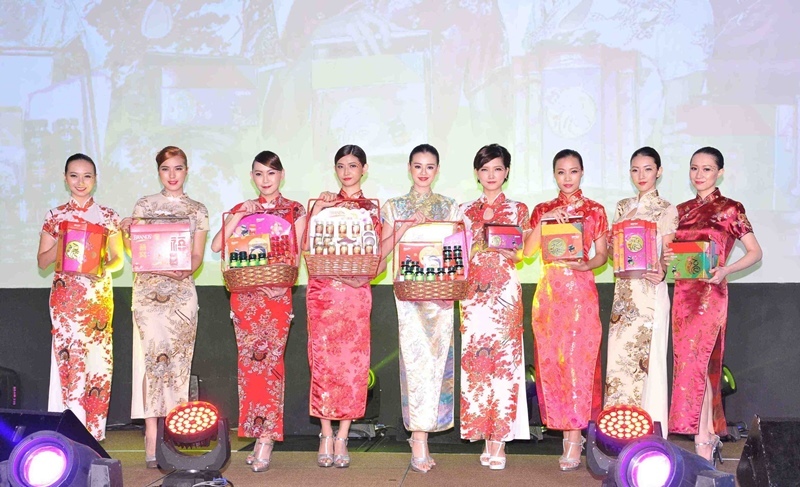 I like buying Brands hamper as gift for CNY! Nice one! WAH! even brands now look like a fashion show. HAHA. But yeah... usual CNY hamper that I get is from Brands, everything i need is there. And some shops even help me do deliveries. Brand's gift packs gets better every year. Can't wait to get my hands on one!